During the last flu season, news reports showed that several places in the U.S. and Canada were experiencing outbreaks of illnesses due to the H1N1 virus, including some deaths. In the report below, the tragic story is told of a 5-year-old boy who died from the H1N1 virus in Oregon, even though he and his siblings had received the flu vaccine more than a month earlier. 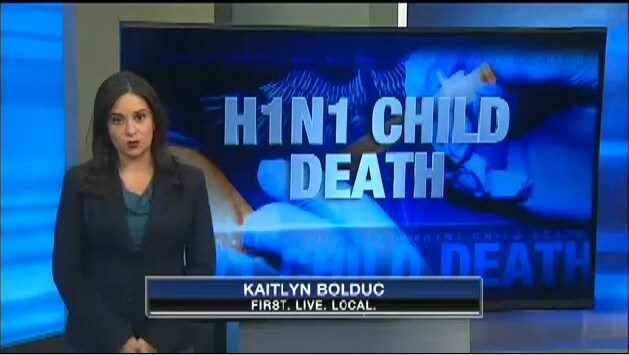 Woman in West Virginia dies from H1N1 after receiving the flu shot. In almost every story regarding the H1N1 flu outbreaks, the public is urged to get the annual flu vaccine as the best protection against the H1N1 virus. Every year’s annual flu vaccine since 2009 contains the H1N1 strain. However, is the public being told the whole story regarding H1N1 and the flu vaccine? As the tragic story above illustrates, the flu vaccine, at the very least, is no guarantee that it will protect you from H1N1. There were over 140 million doses of the flu vaccine produced last year, and reports show that vaccination rates are high, and yet we saw the largest outbreak of the H1N1 virus since 2009. Could the Flu Vaccine Actually be Contributing H1N1Outbreaks? This is the one question that will never be asked in the mainstream media, so let’s take a look at some facts. During the 2008 – 2009 flu season when the H1N1 vaccine was introduced, Canadians were the first ones to observe that people who received the H1N1 flu vaccine seemed to be sicker than those who did not. So some Canadian researchers decided to test the H1N1 vaccine against a placebo with ferrets. In their experiment, all the ferrets who received the vaccine were sicker (See: Study finds flu shot really did make people sicker). Researchers in Hong Kong decided to also study this issue and they conducted a double-blind placebo-controlled trial on children with the trivalent inactivated influenza vaccine. Their results were published in the journal Clinical Infectious Diseases in 2012, and they found that the seasonal trivalent flu vaccine resulted in 5.5 times more incidents of respiratory illness than the placebo group. See Heidi Stevenson’s excellent article on this study here. These are just a few samples of some of the studies showing problems with the H1N1 vaccine that you are not likely to read in the mainstream media. They vaccinated “naive” piglets (those that had never been exposed to flu viruses) against the H1N2 influenza strain and later exposed them to the rare H1N1 virus, which is the virus responsible for the 2009 swine flu pandemic. So vaccinating for certain flu strains can actually cause the H1N1 virus to create even more severe complications, such as pneumonia and lung damage, which is exactly what we saw earlier in 2014 with the most recent H1N1 outbreaks. So let’s bring all these facts together with what we know today. 1. According to Dr. William Schaffner, an infectious disease expert monitoring the flu at Vanderbilt University Medical Center in Nashville, this season the H1N1 strain has hit healthy children and young adults especially hard and many have ended up in the ICU. However, he states: “This virus doesn’t affect the older population as much because back in the 1970s the older persons were younger and there was a virus very similar to it that went around. They got infected, they recovered and now they still have residual protection against viruses in this family.” (Source.) This is called “natural immunity,” and it is what caused populations to not die off from infectious diseases before vaccines were developed in modern history. It is far different than the theory of vaccines purported today, which creates “antibodies” in a medical-induced way of trying to create immunity (See Dr. Sherri Tenpenny’s explanation of the difference between “natural immunity” and vaccine “antibodies” in the short video below). 2. In the 2008 – 2009 flu season, America saw an outbreak of the H1N1 virus. The response of the medical community was to develop a vaccine for the H1N1 virus. Unfortunately, studies seem to point to the fact that the vaccine can have negative consequences, and caused some people to have worse flu symptoms than those who were not vaccinated (see discussion above with links to some of these studies). 3. At the beginning of 2014, we saw a new outbreak of H1N1, resulting in some deaths. It was actually affecting healthy, younger people more than older people. If we had allowed everyone to contract the H1N1 back in 2009 and NOT develop a vaccine, allowing natural immunity to occur as opposed to vaccine antibodies, would we have had these outbreaks again here in 2014? What about the 2014-2015 flu season? Will it become even worse? 4. The H1N1 virus has been included in the seasonal flu shot now since 2009. Last year over 140 million doses were produced and put into circulation. How many will they put into the market in the 2014-2015 flu season? Are we missing the bigger picture here?? Are the profits from 140 million doses of flu vaccines so large that nobody dares to ask the tough questions, knowing full well what the results will be if we follow the data to their logical conclusions? For the sake of public health, and the safety of Americans, it is time that the media and medical professionals start asking the tough questions. Lawrence Solomon, the research director at Toronto-based Consumer Policy Institute, wrote a column for The Huffington Post in Canada earlier this year titled: Why the Press Shouldn’t Dismiss Vaccine Skeptics. More people in the press need to step up and ask the tough questions. Independent investigations by those with no financial ties to the pharmaceutical industry that produces vaccines is sorely needed (which excludes the U.S. government where billions of dollars is tied into vaccine research.) 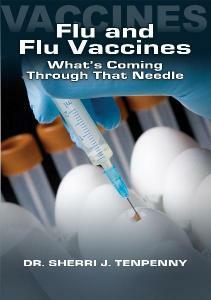 In the meantime, do your own research on the risks and benefits of the flu vaccine. The facts may not support what you read in the mainstream media, or what your doctor is telling you.